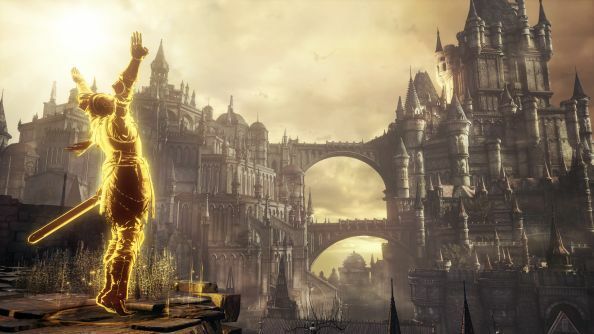 In a bumper edition of Dark Souls III news, developers From Software are tweaking some of the game’s weapons in a patch next week while Bandai Namco have confirmed the first DLC will arrive this Fall. If you’re stuck and don’t know your Firelink Shrine from your Lords of Cinder, here’s a handy Dark Souls III guide to get you unstuck. Little has been revealed about the contents of the DLC, though at least two DLC packs will be available for the game with a season pass priced at $24.99. Both are said to contain new bosses, locations, enemies and weapons but the exact details will likely only arrive sometime in the summer. Before then, the latest patch for the game – to be released on Monday – will make a series of performance adjustments to swords and axes. Whether these tweaks are buffs or nerfs is still unknown, but here are the names below so you can prepare for the worst come your Monday evening punishment session. Thank GabeN we put that spoiler warning there, eh? Wouldn’t want your experience marred by the knowledge that a game contains a sword now, would we?